It’s no secret that Atlanta has become one of the hottest locations to film movies about super heroes. Now more than ever, our city is filled with super heroes (Well, the actors and actresses who play them…) who are in town for filming and Heroes and Villains Fan Fest (November 18-19). 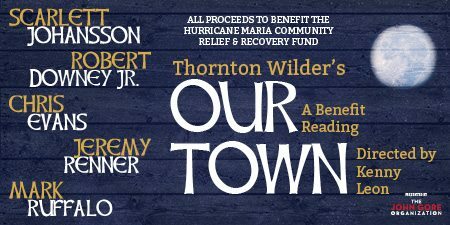 As the actors for hit Marvel and DC shows make Atlanta their temporary homes during shooting, we as a community have already started to see their impact with benefits being organized to coincide with filming like the reading of Our Town at The Fox Theatre this past Monday. The benefit, collecting funds for the victims of the recent hurricanes, was conceived by The John Gore Organization and Scarlett Johansson who is in town for The Avengers: Infinity Wars. Lead by Johansson, fellow Avengers cast mates, other Marvel Cinematic Universe actors, and Atlanta actress Tess Malis Kincaid, the reading raised over $500,000 for the hurricane victims. In the past few weeks, Marvel’s The Avengers was seen shooting on 14th Street downtown, Sony’s Venom was spotted on Peachtree downtown, and the cast of Thor was recently in town for reshoots before Thor: Ragnorak was released in theaters. The recent Black Panther trailer even shows video of a graffiti wall in AMT’s own Castleberry Hill being blown up at 1 minute 4 seconds. The CW and DC’s Black Lightning released several casting calls for cops, students, and “trained actors” as they continue shooting in Atlanta. 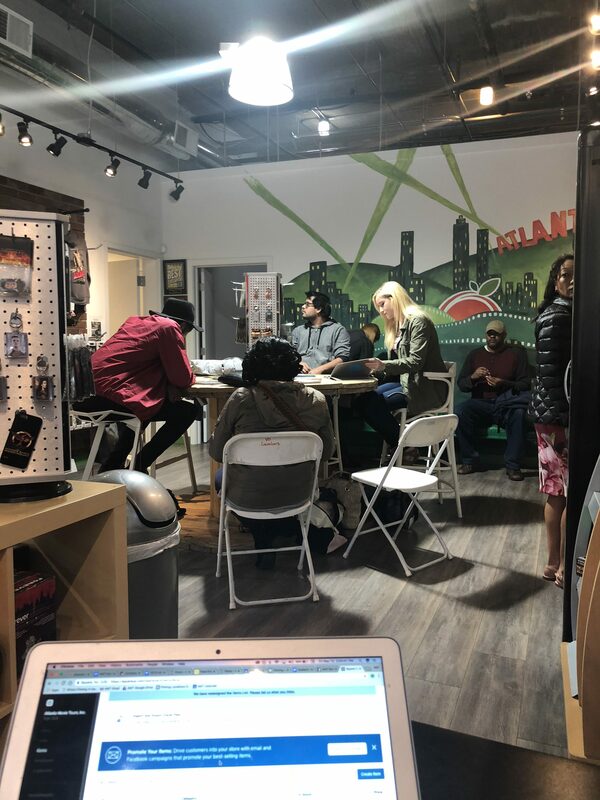 And today (November 10), our shop in Castleberry Hill is being used for extras holding as the super hero TV show uses the area for filming. Are you more of a DC fan than Marvel? Then fear not! If the CW’s other superhero successes are any indication, it doesn’t seem like Black Lightning is going anywhere anytime soon. And November 18-19 Heroes and Villains Fan Fest will be at Georgia World Congress Center. This year’s star-studded guest list includes actors from Arrow, Legends of Tomorrow, Gotham, and more. Tickets for HVFF are still available for the Atlanta con. Get yours before they sell out! Tickets and schedules can be found on the HVFF website! And be sure to join our AMT team on our Hero Tour to see how and where your favorite (These are mainly Marvel movies; sorry DC fans! But hopefully that will change once DC catches on to how awesome Atlanta is and Black Lightning premieres in 2018!) super hero films were made.